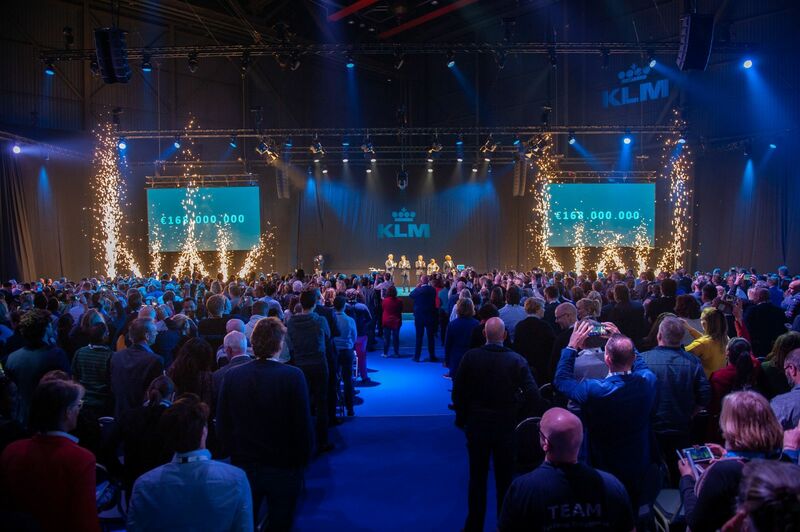 Around 2,000 enthusiastic KLM staff attended the Employee Event in Hangar 10 on 26 and 27 February. Judging by the many positive reactions from staff, the event was a great success. The combination of speeches and interviews with executives, the interaction with the audience, the fair consisting of great initiatives and food trucks, and the Recognition Awards presentation all generated a huge amount of energy and positivity. 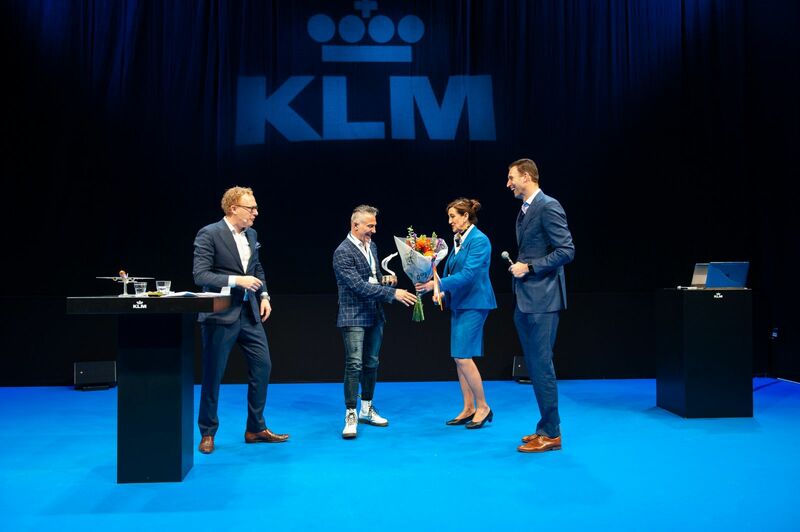 After that, CFO Erik Swelheim and COO René de Groot shared their insight into KLM’s status and what we will need to do in future. Under the guidance of presenter Rens de Jong, they discussed the themes in detail. Between the talks, they shared some amusing KLM facts and took questions from the audience. They also offered a sneak preview of the latest TV commercial for the Dutch market. Finally, innovation expert Jim Stolze inspired everyone with his view of digitisation. Then it was time for the presentation of the Recognition Awards. The category Customer Experience was won by Rimalda Bent, who ensured that 100-year old “Oma Toelsie” was able to make an unforgettable journey to the land of her birth, Suriname. The Sustainability category was won by Paul Pereira Filipe for developing a Battery Test. 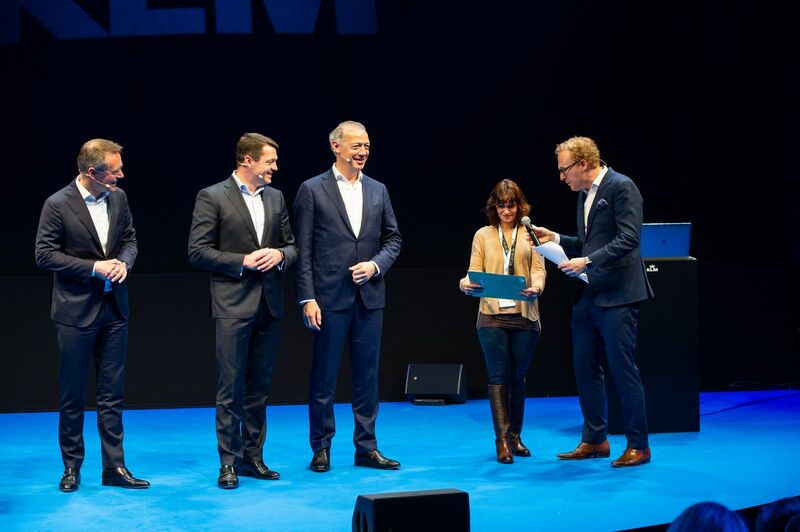 The category Innovation was awarded to a team – Heidi de Ridder, Debby Knol, Levi Pluim Mentz and Peter Lommers – which developed the MyRoster app, giving ground personnel clear insight into their work roster. Fit4Crew by Massimo Molinari won the category Fit for the Future. Massimo offers crew members the option of exercising together under his guidance when they’re travelling. The final category, Diversity & Inclusion, was won by Rob Verleg, Can Ozcifci, Gonny Hoekstra and John Cornelissen, with their idea for the Golden Bay, a work area at Cargo reserved for older staff, where they can work at their own pace and their combined wealth of experience is retained for the division. The Employee Event ended with the announcement that there was no less than EUR 168 million to be distributed under the profit-sharing scheme! This is equivalent to around one-and-a-half month’s gross salary per KLM employee. A wonderful reward for everyone’s hard work! Finally, Pieter Elbers summed up our missions – saving costs and investing in our customers and employees. “It is clear that we have all made tremendous progress. With today’s inspiration, we also know what we need to do to move ahead into the future. 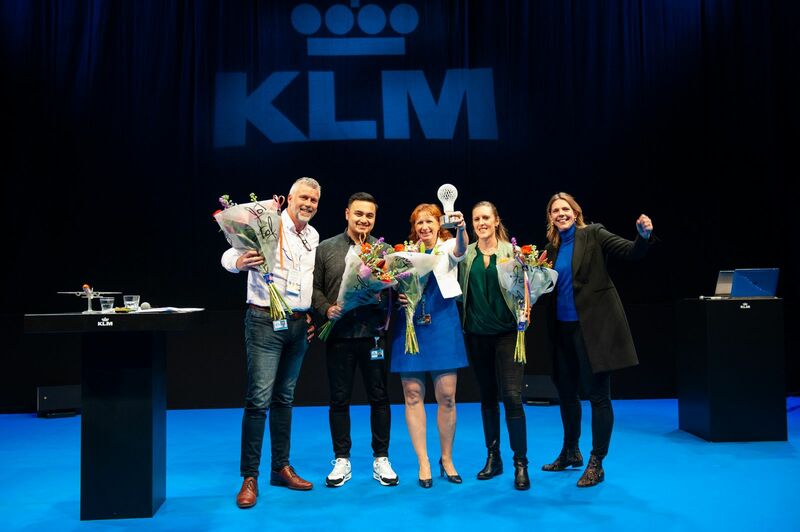 As Albert Plesman put it: ‘Maintain course and complete the journey.’ Let’s maintain this course together, put our shoulders to the grindstone, and ensure that we reach KLM’s 100th anniversary fit and healthy.”.